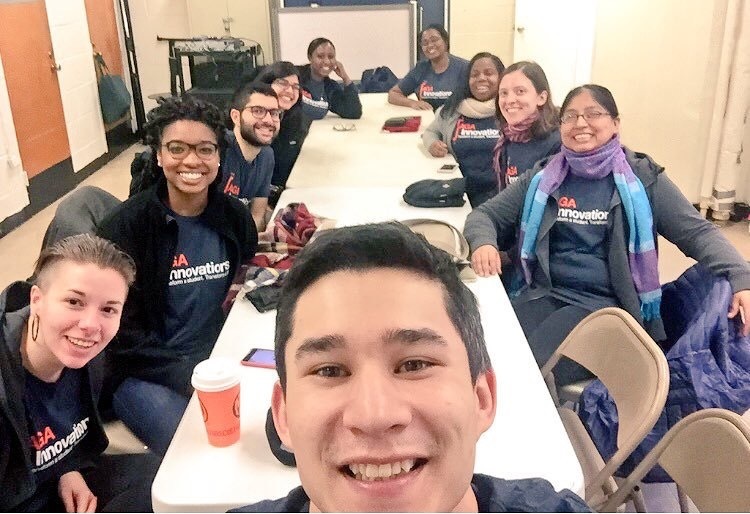 This past Martin Luther King Jr. Day, Saga Fellows connected with community service centers in Chicago and New York City to donate both their time and their passion for helping others. In Chicago, Fellows banded together with La Casa Norte and Northside Housing & Support Services to help provide food and clothing to Chicago’s homeless community. Simultaneously, in New York City, our Fellows spent the day providing food to people in need with Citymeals on Wheels. Together, Saga Fellows took this day to serve their communities and to reflect on why service is important. 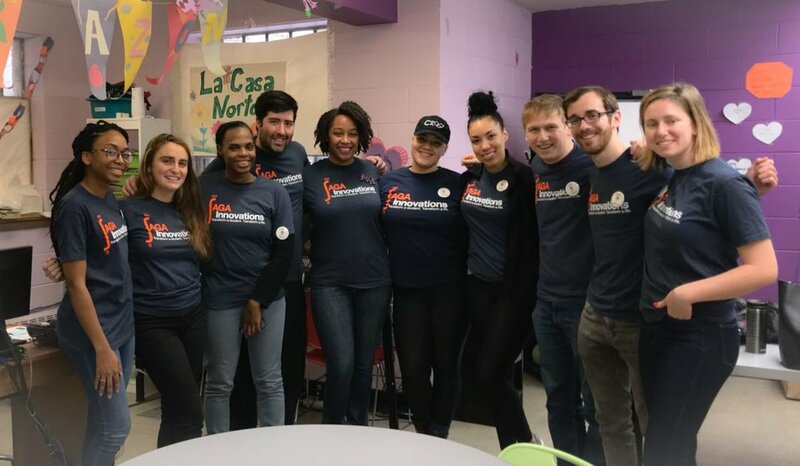 For Martin Luther King Jr. Day, Saga’s Chicago Fellows volunteered at La Casa Norte, a non-profit organization that provides housing and services to thousands of Chicago’s homeless population. Ivory Garner, a Saga Leadership Fellow and Site Captain, arrived at La Casa Norte early in the day and was prepared to get to work. Last year, La Casa Norte served over 39,000 people alone. On Saga’s service day, the Fellows split up to work on different projects. One group of Fellows prepared a meal for homeless youths that included macaroni, ground turkey, apple bread, spaghetti and squash. They worked cohesively as a team, dicing vegetables and boiling noodles. It wasn’t just a service day, but a reunion of sorts; since the Saga Fellows are split up to different schools, they don’t often see one another. The last time they were in a room together was during their training orientation. This service day provided them the opportunity to catch up, talk about their work as tutors, and work together towards common goals. As one group cooked, another group of Fellows helped organize large amounts of donated clothing that La Casa Norte receives, which in turn is provided to clients and community members at no charge. A third group worked together to help design and build craft projects—including inspirational quotes and decorations—that were placed throughout the facility. La Casa Norte began with just a few volunteers, and today there are nearly 80 employees. Roberto says that they were able to build their organization because of volunteer support from the community. Support builds on itself, and over time, organizations like La Casa Norte are able to gain stronger footing in the community, get their name out to the public, and grow into much larger organizations—which in turn helps more people in the area. 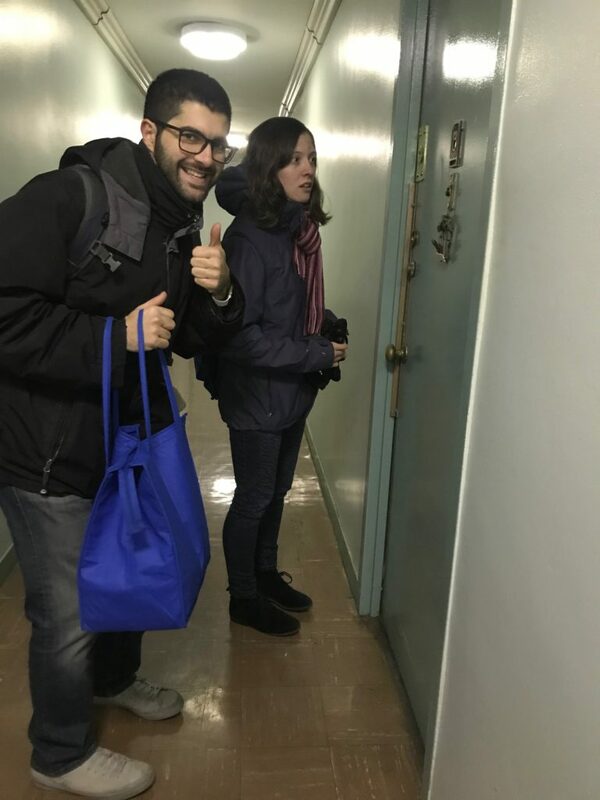 On the morning of January 15, Saga’s New York City Fellows joined Citymeals on Wheels to help deliver food to people in the East Village area of Manhattan. In was Martin Luther King Jr. Day, and in the honor of the late Dr. King, Saga committed itself to provide services to those in need. The Fellows met at a senior community center in Manhattan’s East Village and discussed the activities that were going on in the area before packing up meals for delivery. The Fellows hit the road in two separate groups, delivering around 36 meals in total. Although Asia had considered the East Village an affluent community, she was surprised to see many of the buildings they visited were in less than great shape—the intercoms didn’t work, and the exteriors were in need of repair. The people Asia encountered were most often health-bound to their homes. Still, in these less-than-perfect buildings and with their less-than-perfect health conditions, Asia couldn’t help but notice how warm and kind her visits were. By the end of the day, the group had made a long loop around the East Village, a journey that helped feed dozens of New York residents. For Asia and her Saga colleagues, it was an opportunity to support their community with the sort of selflessness and determination befitting for Martin Luther King Jr. Day. If you’d like to get involved in community service or would like to donate to these two wonderful programs, follow the links below.